The last few weeks of August in the Northeast are magical. 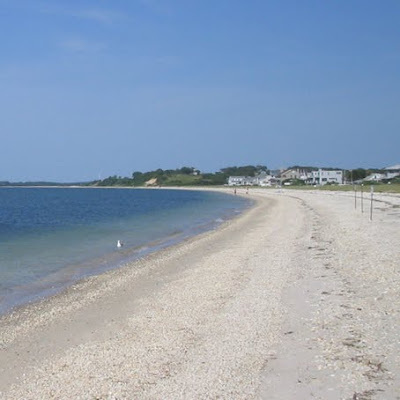 Growing up, my family would spend the entire summer in Amagansett, and by late August you could already sense fall coming as the sun shifted overhead and the ocean breezes cooled. Monarch butterflies and enormous flocks of birds would pass through the dunes, on their southbound migratory paths. Barack Obama and family chose Martha’s Vineyard as their late August vacation spot this year. It’s a wonderful choice for many reasons, including the fact that summer is peak season for whale watching in Cape Cod, as they swim up to 4,000 miles to their winter home. 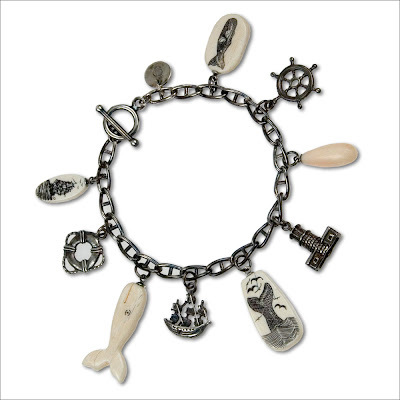 America’s ancient whaling history is centered in Cape Cod, and one of my favorite summer looks is scrimshaw jewelry made with vintage charms from the region. I am fascinated by this technique, originally the handiwork of whalers, who etched patterns and stories into the bones and teeth of the marine mammals they hunted, rubbing in pigment to highlight the carving. Recently, I designed a vermeil lariot dripping with white coral branches and scrimshaw charms. Perfect with my Christopher Deane knot patterned maxi for a Cape Cod getaway, should the need arise! Cynthia Rybakoff oxidized sterling silver Whale Story Charm Bracelet with angel skin coral and vintage scrimshaw, $655; vermeil Sailors Not Lariot with white coral and vintage scrimshaw charms $550, both to order at cynthiarybakoff.com. If you haven't been living under a rock, you are probably making an effort to recycle, which will reduce your waste into lesser quality, but highly usable component materials and maybe even save the environment! It's also known as downcycling. As a designer, I tend to think a lot about the upcycle as well, that is to create great looking new products from used stuff. To upcycle is to take salvaged parts and create a new object of greater value. It's nothing new, but using reclaimed or vintage components inbues designs with the spirit of their unique history. Not only is mixing things up more interesting aesthetically, it's also good for us. With our fragile biosphere increasingly in peril, supporting artisans who make upcycled goods is a socially conscious way to share our global commitment to good planetary housekeeping. 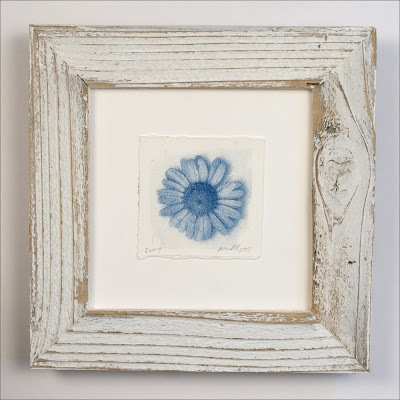 "Whoops-A-Daisy" by Matt Shapoff for Handmade On Peconic Bay, one-of-a-kind Cyanotype print in upcycled barnwood frame, $68 at Supermarket. Images from "Modern Vintage: Cyanotypes by Matt Shapoff"
In our brave new world of green living, Matt Shapoff is a natural. He’s been practicing eco-friendly photography for two decades, harnessing the sun's energy to expose biodegradable paper sensitized with non-silver based photochemistry, right in his own backyard. 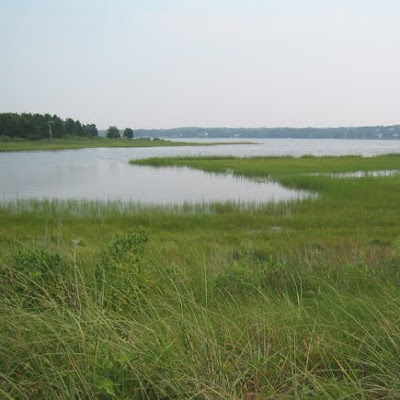 Even his subjects are organic: a visual Wunderkammer of the botanical and marine species of Peconic Bay, a tidal estuary between Long Island's North and South Forks. In 2007, Matt and his wife Cynthia Rybakoff started Handmade On Peconic Bay, a collection of Cyanotype paper goods and fine art prints in reclaimed vintage wood frames. Combining 19th century printmaking with 21st century digital photography, Matt spends his weekends at his Southampton, NY studio collecting “curiosities”: the wild flowers, herbs, shells, feathers and creatures that will become his distinctive Prussian blue Cyanotype images, printed en plein air just as it was done over 150 years ago. The natural subject matter and hand crafted technique imparts an overall vintage look and feel to his work, an aesthetic the New York Times has dubbed the New Antiquarians. On August 22nd, Matt will unveil his latest endeavors at his first solo show entitled "Modern Vintage: Cyanotypes by Matt Shapoff", hosted by Dr. Gerry Curatola at The Gallery at East Hampton Dental Associates. A portion of the proceeds will benefit the new Wellness Institute of Southampton Hospital. As the only hospital-based Integrative Medicine on Long Island’s East End, Southampton Hospital’s Wellness Institute brings together clinical excellence and a holistic approach to wellness. 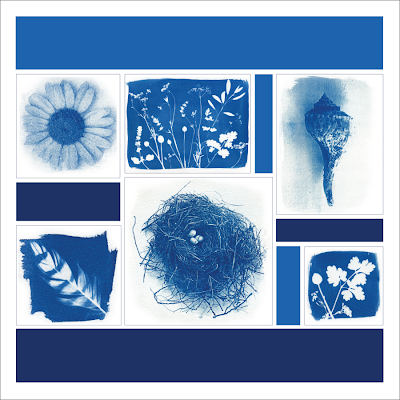 You can find Handmade On Peconic Bay Cyanotype paper goods and prints at the Parrish Art Museum Shop, Southampton and Mascot Studio, NYC, as well as online at Supermarket. What really happened at a happening? 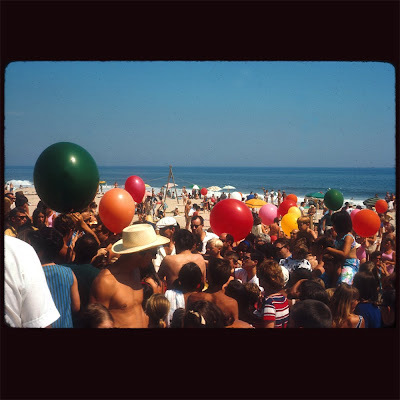 Here’s a great shot my father took back in 1966 of a beach happening in Montauk. The dust and scratches from the slide add to the arcane element of this composition. Balloons at the beach! What a party! The term happening was first used in the late 50’s, to mean a performance or event that was considered art. And they were interactive! Like all good trends, the culture of happenings hit the mainstream by the late 60’s, when my parents first started trekking from Manhattan to the distant shores of the Hamptons. Many of my father’s slides from this time period are simply labeled “Happening”.